This year’s Mental Health Awareness Week (14-20 May) is focused on stress. Research has shown that two thirds of us experience a mental health problem in our lifetimes, and stress is a key factor in this. We all know what it’s like to feel stressed – it’s part of everyday life. But when you’re overwhelmed by stress, it may lead to mental health problems or make existing problems worse. It is estimated that 1 in 6 people in the past week experienced a common mental health problem. Mixed anxiety & depression is the most common mental disorder in Britain, and can be exacerbated by stress. At Mantra, we support MIND, the mental health charity, with all their work to raise awareness of, and remove the stigma around, mental health issues. In their year’s campaign for Mental Health Awareness Week, MIND are especially focused on stress in the workplace, helping employees and employers create a mentally healthy workplace where everyone feels valued and supported. Mental Health Awareness Week 2018 is a great time to think about how we can all address the causes of stress in our lives, and in the lives of our friends, family and colleagues. 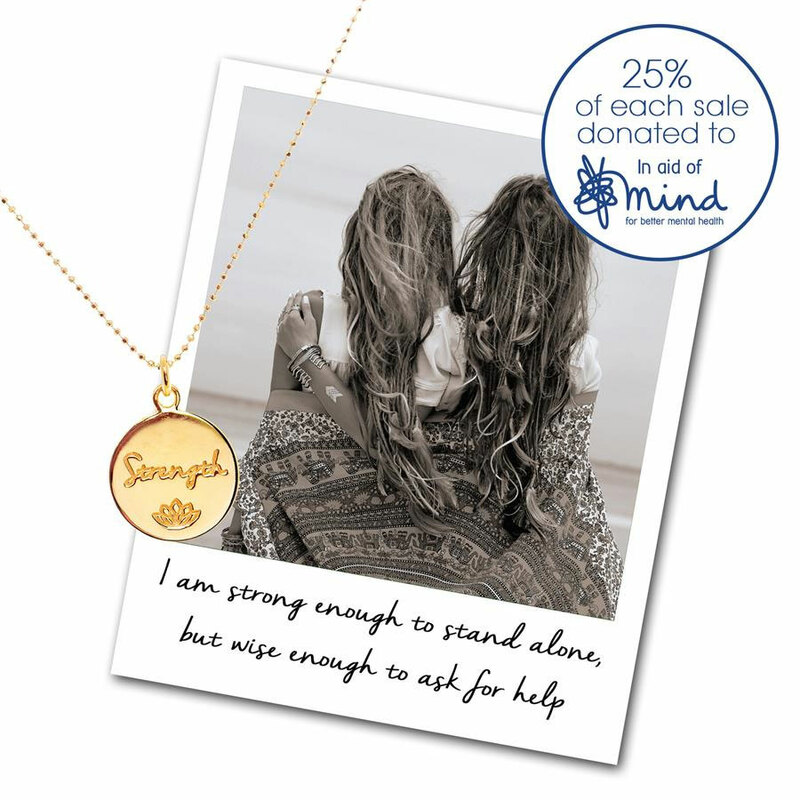 Help Mantra to support MIND in their work, with a ‘Strength’ necklace from the Mantra Changes Lives collection, with 25% of the selling price going directly to MIND.